About William R. Pape with EXCEL REALTY AND MORTGAGE, INC. I have over thirty years of professional sales experience as a REALTOR and I love my work! I am a full time real estate Broker, Mortgage Loan Originator and Notary Public. I have lived in the San Francisco East Bay Area my entire life. I have successfully sold real estate throughout the Bay and Tri-Valley Areas. The part of the business I enjoy the most are my strengths in negotiating for my clients and closing. There is no greater satisfaction than experiencing the joy and happiness my clients express upon completing their purchase or sale. The majority of my business comes from referrals and repeat business. My goal is to make the process of buying, selling, or investing in real estate efficient, enjoyable and rewarding for you. Contact me and join my list of happy clients! Brokerage EXCEL REALTY AND MORTGAGE, INC.
EXCEL REALTY AND MORTGAGE, INC. Slogan Experience and Expertise You can Trust! I confirm that I worked with William R. Pape in the buying or selling of this property. - William Pape knows his business and knows it well. I am a first time homeowner and William walked me through every step of the process bringing his 30+ years of experience to bear on even the smallest of details. I love his straight-forward, honest, and insightful approach with clients. I could not have asked for a better partner in my house search and home purchase. His knowledge of construction was critical as I would have offered on every newly painted and staged house I saw (50+)! He taught me what to look for, how to interpret the inspection reports and the myriad of details associated with escrow. He stuck with me from beginning to end. If and when the time comes to sell, William will be my first call. - William Pape is as good as it gets when it comes to realtors. He's on top of everything and keeps you informed every step of the way. As ethical and experienced as they come. We have both bought & sold with William and he's saved us from making mistakes and wasting money. His top priority is keeping his clients informed and it shows. He won't push, he believes in giving you all the information so you can make an informed choice. He's as ethical as they come. He will tell you the truth no matter what and he follows the law to a letter! You won't go wrong with him as your realtor. - Working with William was beyond amazing! He is knowledgeable, funny, kind, honest, and most of all someone you can trust. He knows everything there is to buying a home as well as having knowledge of all of the legal laws. William makes the home buying process seamless. He is by your side every step of the way. If I ever need a realtor in the future, I will most definitely call William Pape. - Working with William Pape was a pleasure. To date I have worked with him 3 times, once as a buyer, and twice as a seller. He specializes in residential real estate, and when I say specializes I mean it! His familiarity with current market conditions, knowledge of forms, tax repercussions, and connections with exceptional contractors who can advise on and complete the actual work feels near unparalleled. I can handle some level of complexity, but when it comes to real estate there is just a lot of stuff you have to understand, disclose, and make sure you get right. Bill was patient and really helpful in helping me understand not only what each form was about, but why it's there. With his 30 or so years of experience there is very little he doesn't know on the subject. Now anytime you are working with large sums of money, as is the case with realty, you really want to make sure you are working with someone who really cares about your interests and maintains the highest ethical standards. You want someone you can trust and who will get you the best price. Bill Pape is a man with a strong moral compass. He is able to close deals with a much higher reliability because he really understands what both parties are after, and is able to get the best deal for his client. I have sold my final piece of reality in California and moved to Arizona. But, if I were still in the area I wouldn't work with anyone else for residential real estate. He really was available, understanding, and went above and beyond the call of a realtor. 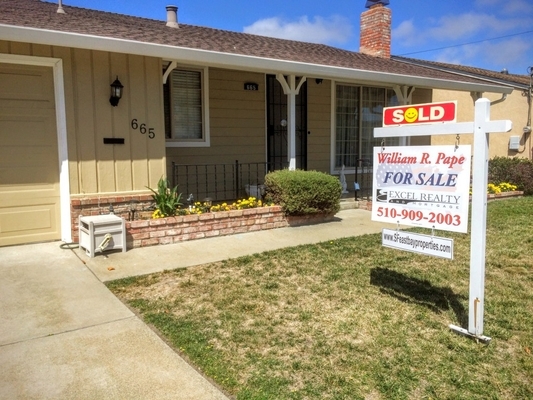 - We have worked with Bill Pape for many years, he has helped us buy and sell many houses in the east bay. He is professional and honest. We trusted him completely when we made a cross-country move and he was selling our house in our absence. He did a fantastic job and was in almost daily communication with us regarding market conditions, our neighborhood activity- we could go on and on. Bill is the best realtor we have ever worked with and we would highly recommend him to anyone. Thank you Bill! - he did an excellent job. - We had a wonderful experience with Bill! As first-time buyers, we started out with very minimal knowledge about houses. He was helpful in explaining not only the house buying process but about houses in general. He was knowledgeable about the neighborhoods we were interested in and responded quickly when contacted. He gave us excellent advice when asked but allowed us to make our own decisions. His many years of experience greatly benefited us throughout the whole process. - William is the best agent . 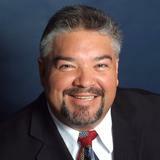 His knowledge and experience are what you need if you are selling or buying a home. I have known him for many years and he has sold a few houses for me and helped me buy a few. He has always been there to help if I have any questions. I have dealt with many agents and none have the expertise that William has.